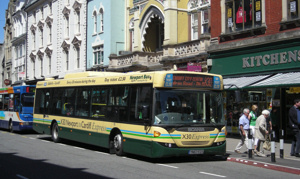 Cardiff Buses has been investing heavily over the past few years. In additional Newport and Veolia have also been buying new vehicles. The Omni-Decker has been around for a few years, but until recently has mainly been bodied by East Lancs. Now home-built Polish versions are hitting the market. Every year a fond farewell is said to some familiar faces. 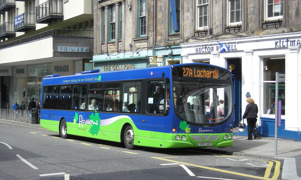 This year Rapsons, Maynes and Eastbourne Buses are a few of the companies that have disappeared. 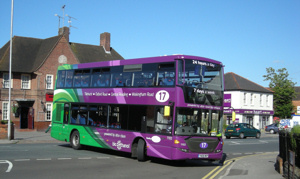 Stagecoach and First continue to buy new for Devon operations reflecting growing passenger numbers. Surprisingly there is still no end in sight to certain operators battling for business in obscure locations. Even though corporate liveries are all the rage, some new ones have appeared recently. Although Britain suffered from one of its dullest Augusts on record, there were still some blue skies.